← LinkedIn Feature Update: How To ‘Mention’ People and Companies in Your Status Updates! Today I logged into Klout to find a notification that the dashboard has a new design and layout so I thought I would share the updates with you. Conveniently featured on the left side navigation, your networks offer direct information through drop-down lists. Definitely easier to find. Graphs on how your Klout score is evolving are now located at the top part of your Score Activity list. I’ve also heard through the grapevine that Klout has been busy sending out email notifications to businesses that are being given beta access to Klout for Business. I have not personally been given access so I’m curious to see what Klout will have in store for business owners. If you are one of the lucky ones that have been given access and feel like sharing your insights, please feel free to share in the comments section below. 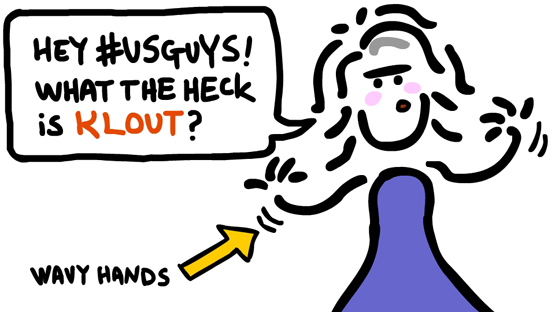 If you’re not familiar with Klout and want to find out about this social influence ranking startup, please read on. Like it or not, people influence people in the real-world everyday. Klout digs deep into social media to understand how people influence each other, so that everyone can discover and be recognized for how they influence the world. You can use the Klout Score to understand how influential you are; you can use your topics to reflect what you are influential about; and you can be recognized for your influence by receiving +K from friends or Perks from brands. The Klout Score measures a person’s overall online influence on a scale of 1 to 100, with 100 being the most influential. 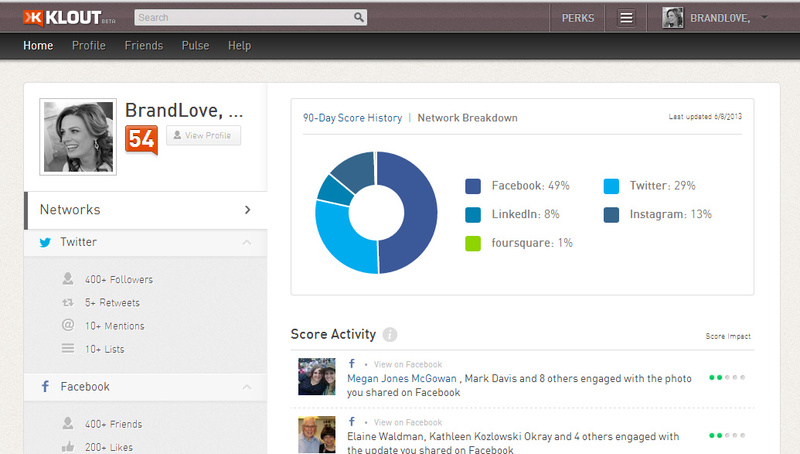 Klout’s system analyzes multiple social networks based on your engagement. It is the number in the orange box on your profile. If you don’t have a Klout score and would like one, you can visit Klout’s homepage and simply click either the “Sign in with Twitter” or “Connect with Facebook” buttons. Klout currently uses Facebook and Twitter as the base of your account. As for now, you must have a Twitter or Facebook to sign up. You will be asked to authorize Klout to read your social network data and you’ll be presented with the option to add other accounts including Twitter, Google +, and more to Klout. Once you’ve completed registration with Klout, a Score will generate for you in about 48 hours.